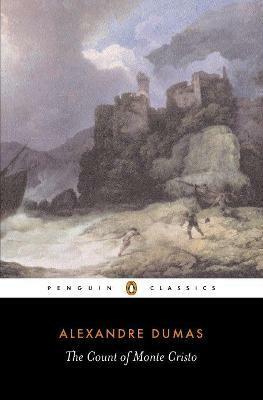 Alexandre Dumas' epic tale of suffering and revenge inspired by a real-life case of wrongful imprisonment, the Penguin Classics edition of The Count of Monte Cristo is translated with an introduction by Robin Buss. Thrown in prison for a crime he has not committed Edmond Dantes spends fourteen bitter years imprisoned in the grim fortress of If. There he learns of a great hoard of treasure hidden on the Isle of Monte Cristo and becomes determined not only to escape, but also to unearth the treasure and use it to plot the destruction of the three men responsive for his incarceration. No longer the naive sailor who disappeared into the dungeon all those years ago, he reinvents himself as the charming, mysterious and powerful Count of Monte Cristo. A huge popular success when it was first serialized in the 1840s, The Count of Monte Cristo has been a fixture of western literature ever since, and the subject of countless film and TV adaptations. Alexandre Dumas (1802-70) was a pioneer of Romantic theatre in France, but in 1839 he turned his attention to writing the novels for which he is best known today, pften using collaborators such as Auguste Maquet to suggest plots or historical background. His most famous works include The Three Musketeers (1844), The Count of Monte Cristo (1844-5) and The Man in the Iron Mask (1847). If you enjoyed The Count of Monte Cristo you might enjoy Robert Louis Stevenson's Kidnapped, also available in Penguin Classics. Alexandre Dumas (1824-95) was a pioneer of the Romantic theatre in France, for which he wrote a series of colourful historical dramas, although it is as a novelist that he is best known today. His works include The Three Musketeers (1844-5), La Reine Margot (1845). Robin Buss is a journalist and translator.